At WonderCon on Friday, there were some major announcements coming from DC’s streaming service, DC Universe. In addition to release dates announced for new series, the digital comic feature of the service is getting a major expansion in April. (source) The feature will add “many thousands” of single issues published over the last 80 years. The big excitement comes from the fact that this is being done at no additional charge for subscribers. I have been a subscriber from nearly the very beginning and there has almost always been a series that I wished was on the service. Some of my favorites have inexplicably dropped off of the service. I look forward to seeing the Silver Age Legion stories again. I also long forward again to taking in the awesome series Prez, both its original and its 2015 remake. Recently, I reviewed an old comic that I found on DC Universe. Unfortunately, the time I had published the review on the site, the series dropped off of the service. 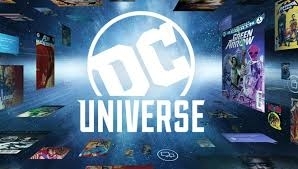 There is yet to be any firm date for the rapid expansion to start, However, the official thread in the community forum on DC Universe promises a FAQ on the expansion on April 10. If there are any interesting developments, I’ll share them with you.